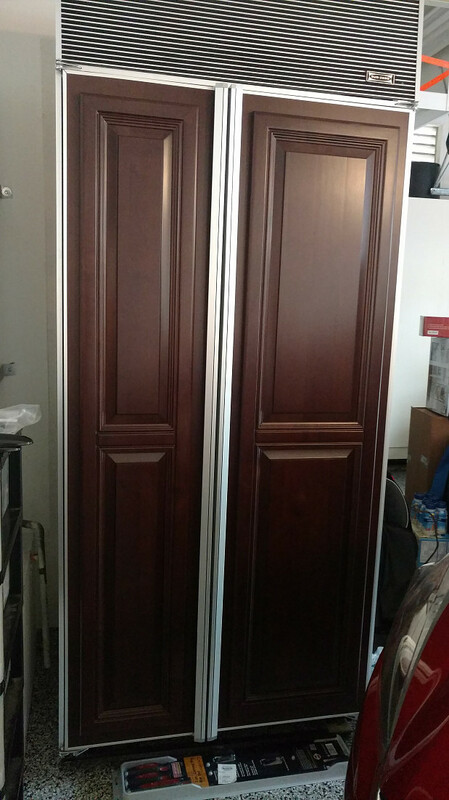 WHAT OUR NETWORX CONTRACTOR DID FOR US: Removed a heavy, bulky built-in refrigerator from our kitchen and carefully moved it to the garage. WHY WE CHOSE HIM: Experience, price, and online reviews. Our house came with a refrigerator, a built-in counter-depth Sub-Zero, complete with dark wood paneling that coordinated with the kitchen cabinets. It was handsome and distinguished but over time, we realized that this particular fridge was not practical for our needs. The problem was that since it was only counter-depth, it had almost no capacity. There were a lot of things that we just couldn’t keep in the fridge, so we needed something deeper. 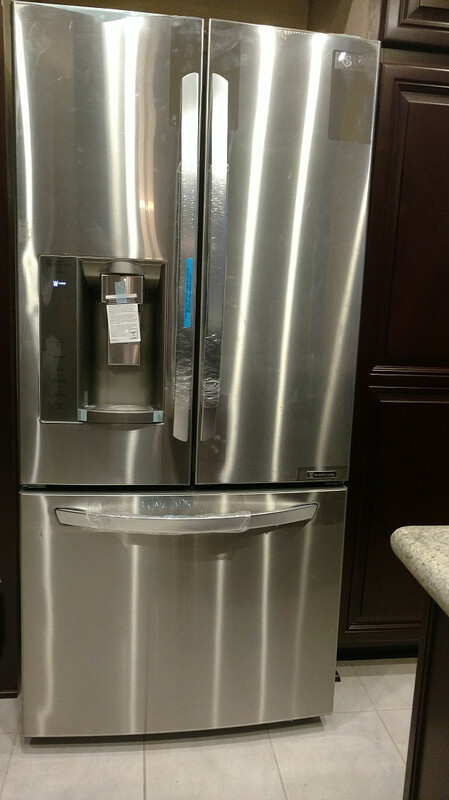 We bought a new stainless steel LG fridge – a regular freestanding one, very lightweight -- which we had sitting in the garage for a while. We wanted to swap out the Sub-Zero for the new model, but the project turned out to be more complicated than we’d thought. The original fridge was just too big and bulky for my husband and me to handle. When we tried to move it forward a little bit, we saw there was no way. So I called Home Depot and asked if they could do it. They said that they didn’t have anyone to do that kind of work. However, they suggested I post my request online ... and that’s how I found OC Handyman & Upholstery. He came out with one of his coworkers at the time we’d set up. It was quite a process. They again had to figure out the best way to tackle the move. Although they had already mapped it out, at the last minute they decided that if they took the fridge over a certain area of our house, there’d be a risk of breaking the floor tiles, due to its weight. So they ended up finding a much easier way -- through the double doors to our backyard, where there’s a walkway going around the side of the house to the garage. It was a slightly longer path than planned, but they had their dolly and all the proper equipment. The biggest issue was getting the fridge out of its place, because it’s so heavy. They were saying it must be easily 500 pounds. When they realized that most of the weight was coming from the paneled doors, they took the doors off and that really helped. After that, they were able to take the body of the fridge outside by itself, and then the doors, one by one. They found really clever ways of doing this to make sure that nothing got damaged. The fridge came out intact, with no scratches or anything (which is good because I’m hoping to sell it. New, a Sub-Zero would cost close to $5000). It was amazing -- I really can’t believe how they did it! It must have taken them 2 1/2 to 3 hours. Everything turned out really well, and we’re very happy with their work. If you’re planning to hire a professional handyman for a somewhat offbeat job like ours, I’d recommend you start by asking, “Have you ever done this type of work and if so, how recently?” Some contractors might say, “Yeah, sure,” but if they haven’t done it in 2 years or so, that doesn’t help. Also, check out and compare everyone’s online reviews.